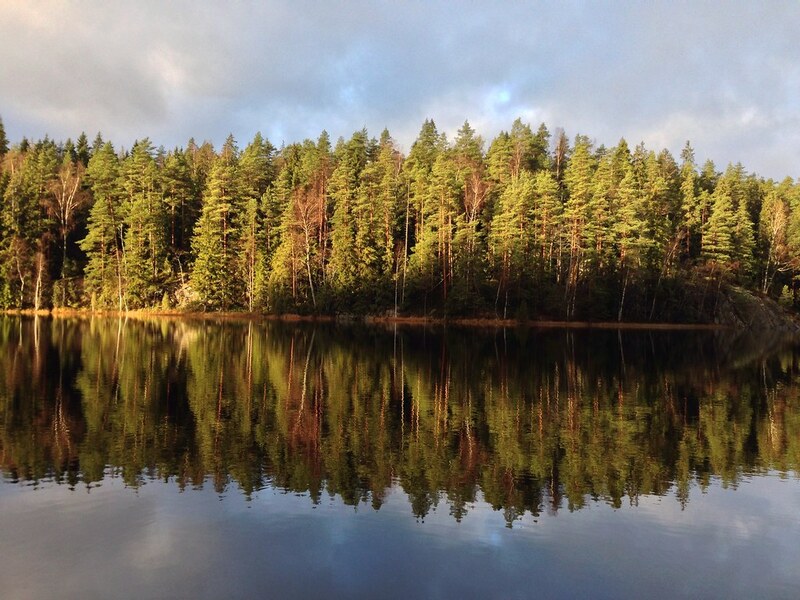 Helsinki is not just the capital of Finland, it also has a lot to offer for outdoor lovers who visit the city. You can meet outdoor types, go wild camping and packrafting in the middle of the city, visit nearby National Parks and pick up a Kuksa & Puukko from one of the outdoor shops. Going outdoors with like-minded people is a lot of fun. Helsinki boasts a large & social population of outdoor types, many of whom are very likely to help you out with picking a destination and probably even meet you for a beer. Contact them via Twitter and visit their blogs for inspiration. Sub 24 Helsinki is a loose collective of outdoor folks who meet up once a month to go sleep outdoors together. Adventures take place all around the capital area, and often are conducted by bike. If you’re a social Helsinki outdoor person and want to be listed above, please comment underneath! So, you’ve landed in Helsinki and have some free time on your hands, which you’d like to spend outdoors. Good! There’s plenty of options available for you of where to go and what to do. If you’re into climbing and bouldering, then pick up the Southern Finland Bouldering Guide and visit 27 Crags to view the locations in the Helsinki area. If you want to boulder, you won’t even need to leave the centre as there’s plenty of great problems within walking distance of the centre. 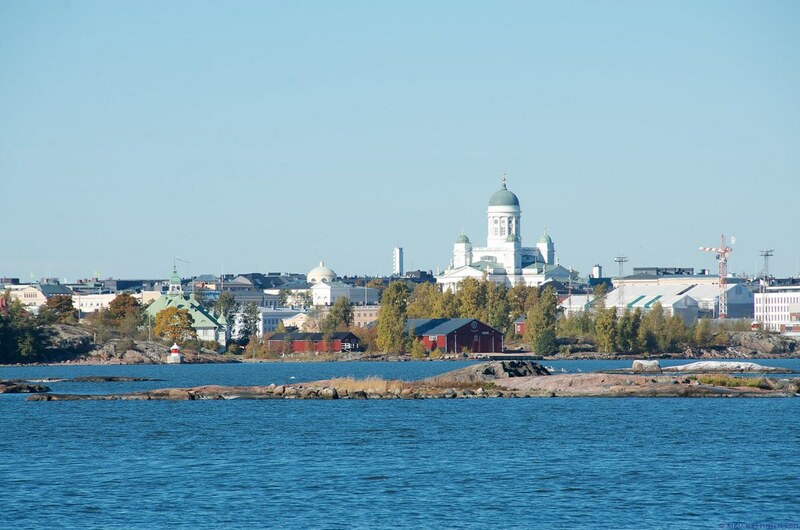 Seakayaking & packrafting is also possible as Helsinki is on a Peninsula and surrounded by the Baltic on three sides. If you prefer rivers, the Vantaajoki is the place to go, or ask one of the paddling & packrafting guys from further up about good rivers! Natura Viva rents kayaks and also has daily guided tours in the summer. 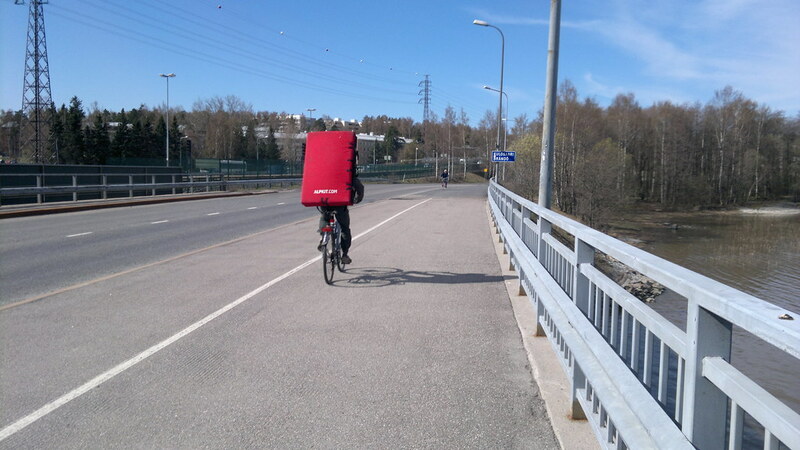 Cycling in Helsinki is fun. The cycling network is OK-ish (at least they try!) and Bikemap helps you to find different routes throughout the city. You also can use the Journey Planner, and check Greenbike’s Tips, too. Sometimes the weather is so bad that even the most hardened outdoor-types will gladly accept some shelter indoors. If you’re looking for outdoor related activities indoors, then Haltia is a good place to start. The new Finnish Nature Centre is next to Nuuksio National Park in a beautiful building, and enables you to experience nature from all over Finland in one building. The Botanical Garden in Kaisaniemi is not just in the summer a great place to go with its beautiful parks, also in winter it’s a fine destination. Right next to the railway station it has a few greenhouses with plants and trees from different climate zones which are well temperated and a real alternative to -20°C outside. If you prefer animals to plants visit the Natural History Museum which is also smack-in-the-middle of the centre, or take a ferry to the Korkeasaari Zoo. 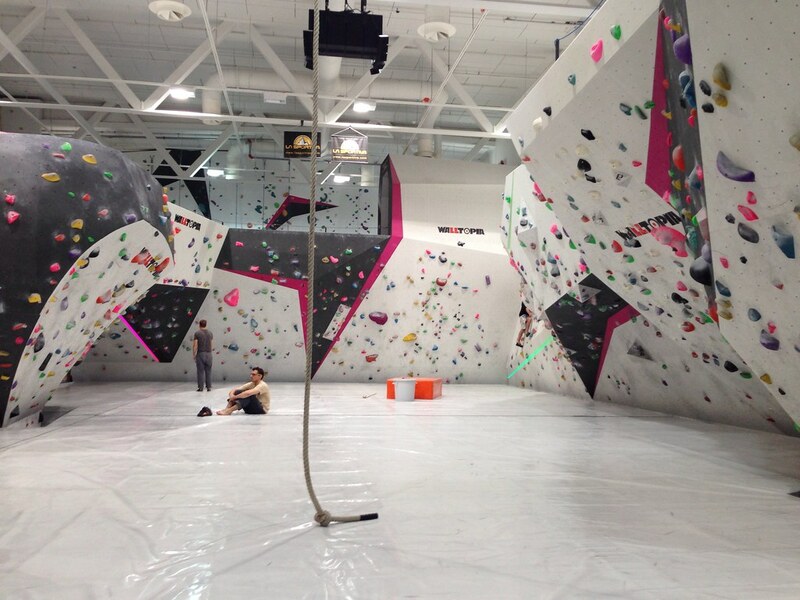 Climbers will visit the Kiipeily Areena which has Scandinavia’s highest climbing wall and a sweet new boulder area. The Boulderkeskus has two locations in the capital area and will present you with lots of fine problems. In autumn there’s also a host of different events in the capital: The Banff Mountain Film Festival, the Helsinki Adventure Night + Reel Rock Tour and the Bicycle Film Festival all have stops in the city and will wow you with sweet outdoor movies. The Skiexpo is a trade fair about, yes, skiing and winter sports, while the GoExpo is a consumer fair for hikers, cyclists, fishermen, and other outdoor activities. 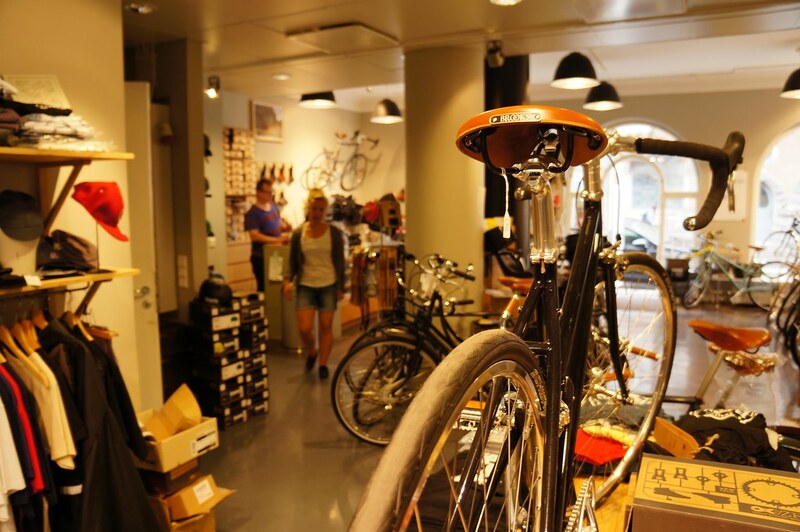 Pelago Bicycles is not just Finland’s best bike shop, they also make sweet bicycles - right in the middle of the city. If you’re just remotely interested in cycling, go visit their beautiful store. And yes, if you purchase a bike, they will pack it ready for air travel for you! In a city the size of Helsinki you find plenty of outdoor/ climbing/ trailrunning shops, which enable you to pick up the stuff you couldn’t bring or forgot. 4 Runners is in the Kamppi shopping mall and in my opinion the best running shop in Helsinki. They have a super collection of minimalist and barefoot running shoes (yes, also Inov-8s!) and accessories from GU Energy Gels to tights and toe socks. Partio Varuste / Scandinavian Outdoor Store are in the centre next to Kamppi and will satisfy gear needs of backpackers & hikers. Pick up gas cartridges and alcohol fuel, try on Merrell shoes and get Woolpower underwear. Camu and Mountain Shop Finland will be two shops which budding climbers & mountaineers will put on their “Must visit” list. Here you can get the good fitting outdoor garments from Arc’teryx, Black Diamond, Rab as well as ice screws, quick-draws and whatever else a climber’s heart desires. Finally, Partioaitta is also in the centre (opposite of the Scandinavian Outdoor Store) and has also a few more shops in the capital area. Yes, you can sleep outdoors in Helsinki. There’s plenty of parks in the centre which are silent in the nights, and if you have a stealth shelter and rise early there shouldn’t be a problem with sleeping right in the middle of the capital. If you want to sleep outdoors but not in downtown, for 4.50€ a train and bus ride take you to Nuuksio, from where you can walk in 30 minutes to several different camping places. You also could take a bus or train to one of the more silent suburbs and camp there in a wood. There’s some sweet Airbnb places available in downtown Helsinki if you do not want to camp out. There’s also a few reasonably priced hotels, though if you like it fancy, stay at the Klaus K as they also have a good sustainable programme. The afore-mentioned Kamppi shopping mall has a couple of Cafés, and the Johto Café at the top has free Wifi. However, I prefer the mBar in front of it - good coffees and friendly service, and a great terrace in the summer. If you find yourself hungry during lunch time, I find Halikarnas the best place to eat - delicious Turkish food with a wide vegetarian selection, this is a great place. Gran Delicato is a Greek run Café which makes superb coffees and sandwiches, while there’s a host of Asian Buffet & Restaurant places in the centre - just take your pick. If you like beer, stop by at Teerenpeli, which, you guessed it, is also next to Kamppi. If you rather cook yourself, the S-Market in front of the railway station probably has the lowest prices in the centre, but there’s plenty of Alepa and Siwa Supermarkets spread throughout the city, as well as the large (and expensive) K-Market in Kamppi. If you prefer organic, Fair Trade food, head over to Ruohonjuuri which is also on the side of Kamppi. Helsinki is a small city, and you easily can walk pretty much anywhere. It’s surrounded by the sea on three sides, and there’s several islands around this peninsula. 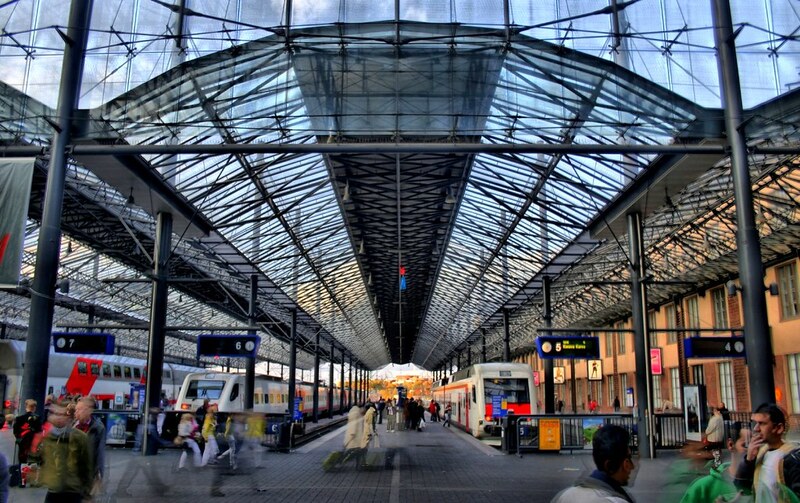 If you want to speed up a bit, take the Tram, Metro, Bus or Commuter Train from HSL. For the Tram & Metro you can send a Text Message to 16355 with “A1” as a message and you receive a digital ticket to your phone. In the bus and commuter train you can get a ticket from the driver/ conductor. If you prefer to pedal, loan a cycle from Greenbike which has a stall in front of Kamppi. That’s the Outdoor Guide to Helsinki. I hope it helps you to make your stay in the capital more outdoors-y and pleasant. If you have suggestions on how to improve it, please leave a comment!